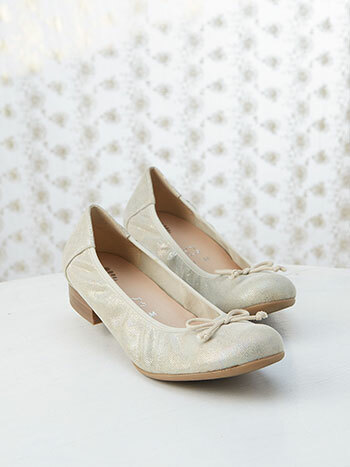 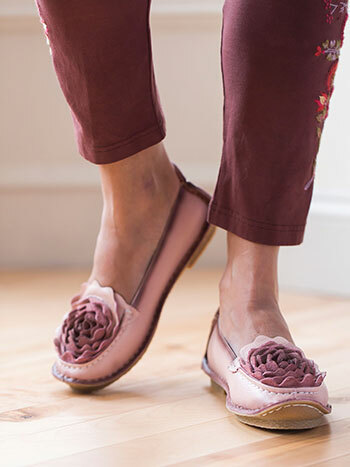 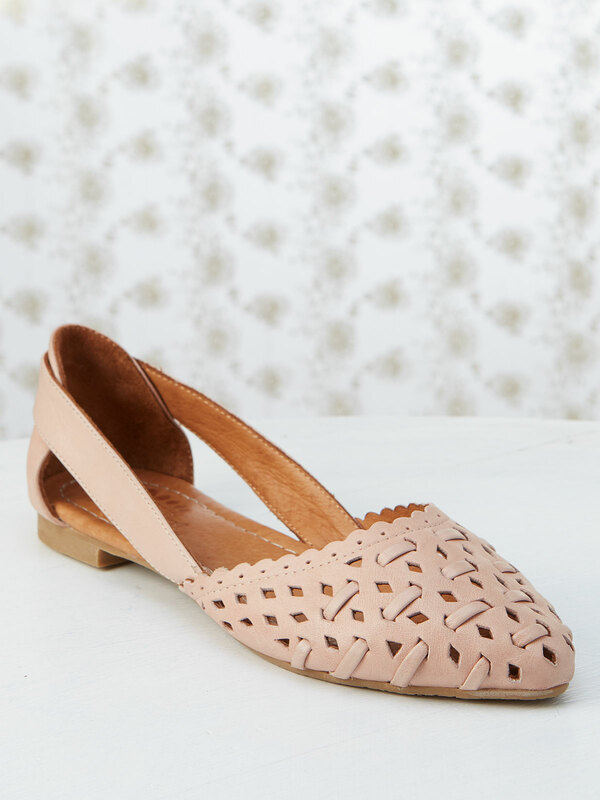 European made, tonal leather shoe featuring elastic topline and a cotton bow on the vamp. 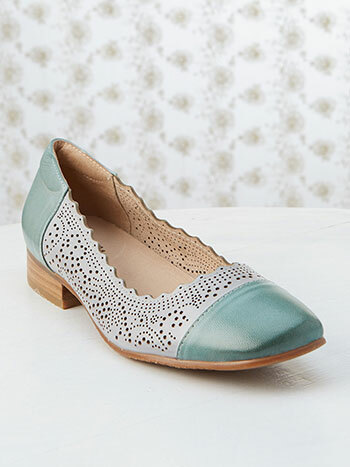 Heel Height (approximately): 3/4" stacked, 1/4" platform. 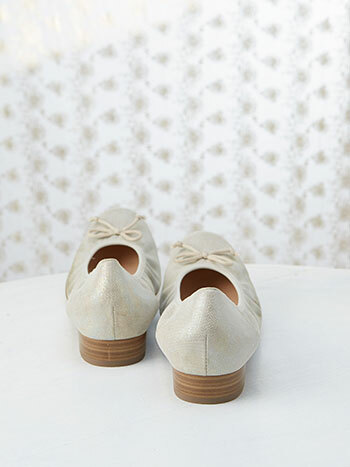 Genuine European leather upper, round toe, decorative cotton bow.